The movie Ghostbusters is returning with an all-female reboot. 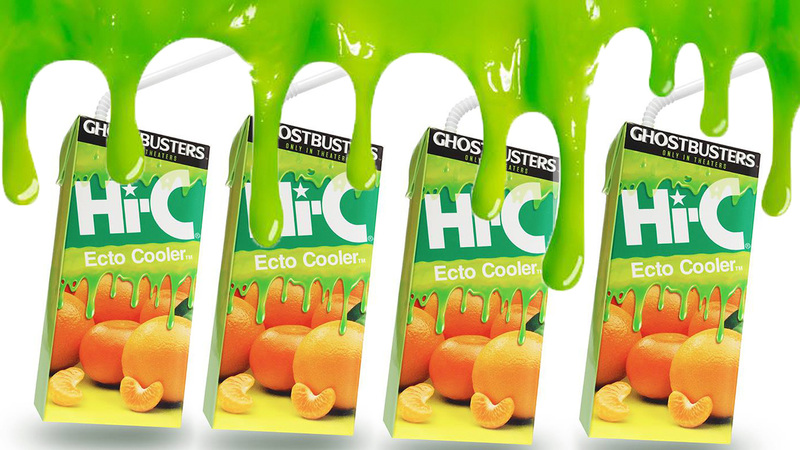 And it looks like everyone’s favorite toothachingly sweet juice box of the late ’80s, Hi-C’s Ecto Cooler, is returning to a store near you as well. Coca-Cola renewed its trademark for the drink in September, and a can of the new beverage recently popped up on eBay (before being swiftly pulled). Samples of the new Ecto Cooler in unbranded, mysterious white boxes have also surfaced. With such a heavy nostalgia factor, it seems like the new Ecto Cooler is relying on adults who grew up with the drink for the bulk of their sales. Ecto Cooler, which originally contained only 10 percent juice (and included water and high-fructose corn syrup as its first two ingredients), was based on the cartoon The Real Ghostbusters. It seems like most adults who enjoyed the drink as kids are probably past their juice box years at this point. And these days, many parents are opting to not buy such high-calorie juice drinks for their kids, since they contain so much sugar and so little actual nutrition. But will kids even be asking their parents for it? The original Ecto Cooler was tied into the cartoon show, but the new Ghostbusters movie is really made for older kids and adults — not exactly the juice box demographic. And there are sure to be purists who will say the new drink doesn’t stand up to the original. Luckily for them, single, still-sealed Hi-C Ecto Cooler juice boxes can be found on eBay — if you’re willing to pay upward of $400, that is. So if you’re one of the people who strangely had the foresight to hang on to a six-pack of Ecto Cooler juice boxes the past 25-plus years, this is your last chance to cash in before the new product is released and prove to your friends and family that hoarding maybe-collectible beverages and food in your house for decades at a time is actually a good idea. In the meantime, the rest of us will just have to wait for the Ecto Cooler to return to store shelves. And to be honest, I might not be above grabbing a pack when I’m at the store, just to try to relive my childhood a tiny bit.